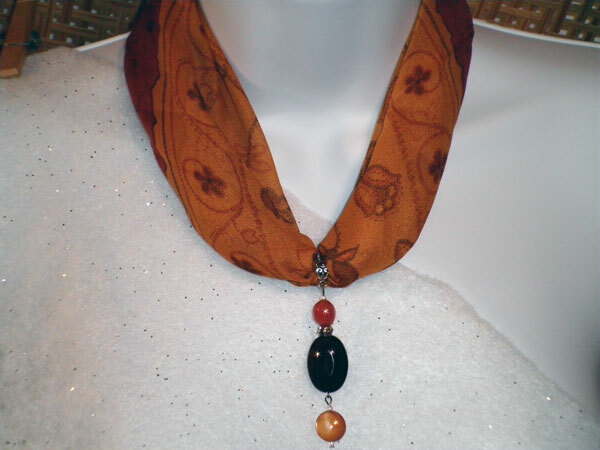 The scarf is a 21 x 21 square in brown, gold and rust. The dangle measure 2 1/2 inches from the bail and starts with a rust colored acrylic nugget sitting on a beautiful acrylic faceted oval in dark brown. It has a wood-grain look and much more depth of color than is depicted here. Hanging from that is a lovely golden button bead between silver seed beads.